Raise a glass to exceptional quality, cooperative ownership, and fair trade. Visit ARTBEV ‘s tasting room! 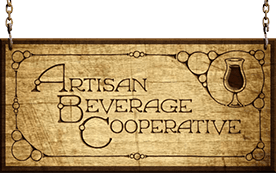 Artisan Beverage Cooperative shared a post. Our new Ginger Libation ‘Pilot Project’ flavor is being released now! Try Backwoods Libation!! !Introducing our new Ginger Libation ‘pilot project’ flavor; Backwoods Libation! Brewed with foraged and grown botanicals such as, birch bark, licorice, chicory, spearmint, orange peel, and cherry bark; this ginger beer has a smoky-sweet birch and cherry aroma with a rustic root beer flavor! You will find Backwoods Libation at Skyline Trading Company, Murphy's Pub Agawam, Ma, The ArtBev Taproom, and more locations TBD, very soon! Good Afternoon, Social Media Friends! Welcome to another #MeetUsMonday! The day in which we highlight a beloved member of the ArtBev family! Ginger Libation is the perfect brunch beverage! Bring some to your Easter Celebrations!